When you buy a Certified Pre-Owned from Carling Volvo, you’re getting more than a great previously owned vehicle. You’re getting our commitment to your satisfaction. We accept only the best pre-owned Volvos, and we make them even better with our signature quality and safety. All pre-owned vehicles receive the latest software upgrades, and Volvo-approved checks to certify they meet our safety, performance, and appearance standards. 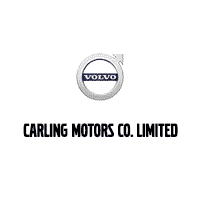 When you purchase a Certified Pre-Owned Carling Volvo, you’ll have the same confidence and pride in your vehicle as you would a brand-new one but without the new-vehicle price tag. Each Certified Pre-Owned Volvo has to meet the strictest criteria and is backed by our best-in-class warranty. Each model has to pass a rigorous 130-point test, history investigation and thorough inspection before we issue The CarProof Logo in Ottawa, Ontario certification. * Some images are not shown to Canadian specification and may show optional equipment not available in the Canadian market. **Calculated from the original in-service date and zero kilometers.